Edinburgh Monarchs will begin their quest for a sixth league crown with an opening home Championship fixture against East Midlands side Leicester Lions, who dropped down from the Elite League during the winter. 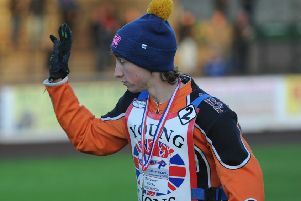 The Lions are managed by former Glasgow gaffer Stewart Dickson and are captained by Scott Nicholls, who was one of the top visiting riders at Armadale last season. Monarchs team manager Alex Harkess said: “It should be an interesting fixture for us. Scott did exceptionally well round Armadale last year. The key to a successful league campaign could well depend on how much progress Monarchs Australian starlet Josh Pickering makes. Said Harkess: “It could be a big year for Josh and he very much should be putting his mark on a heat leader role in 2019. Monarchs’ all-Scottish reserve pairing of new boy Luke Ruddick and William Lawson will undoubtedly play a significant role. Harkess said: “A lot of the other teams in the Championship are running with weak reserve pairings so it vitally important that Luke and William can defeat their opposite numbers at Armadale. “William is the more experienced of the two and has promised me his equipment will be up to scratch. If it is, we should see some good scores from him. Luke, we are not expecting miracles from him. If he lives up his starting average very week, we’ll be more than satisfied with that. Monarchs ran up a slew of heavy 60-point scores during 2018 which came at a huge cost with regards to riders wages, but talk of preventing it happening again was dismissed by Harkess who said: “There is nothing you can do about you cannot tell riders not to win and not to do their best. You just have to accept it will happen because riders are there to win races. 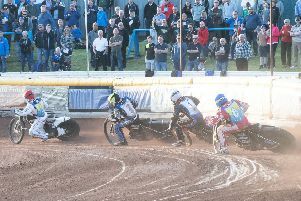 Monarchs have also been drawn against Scunthorpe Scorpions in the Knockout Cup quarter-finals, with the away first leg coming too early in the season according to Harkess, who said: “The first tie takes place in April it should be held in the middle of the season at least. The Championship division this season has been reduced to 11 teams following the withdrawal of Workington Comets two weeks ago. The Cumbrian side say they require funding of up to £100,000 to return in 2020. “Their non-participation was a disappointment for the whole league but not a shock,” added Harkess. • All meetings Championship unless otherwise stated.